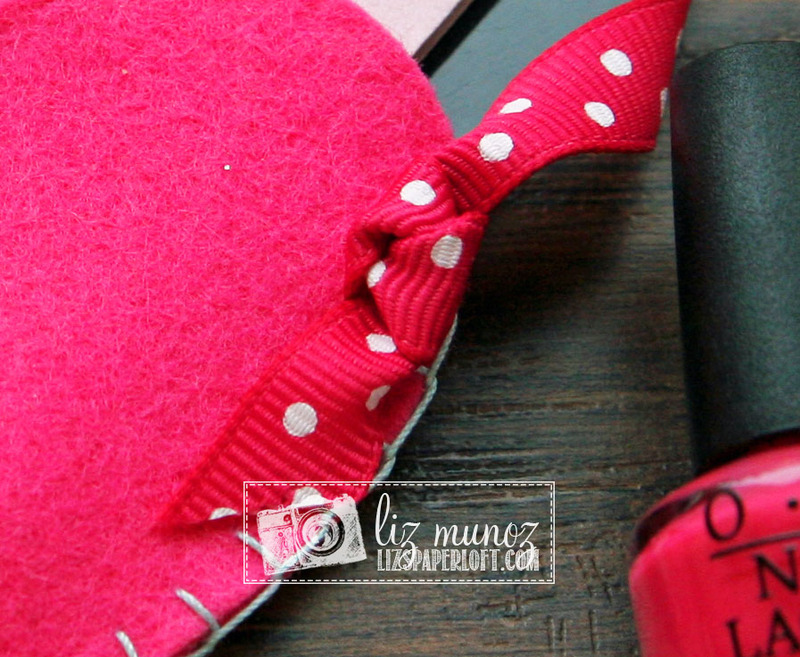 Liz's Paper Loft: MCT Cook-N-Craft ~ pampered! Hi, I hope you had a Happy New Year and a wonderful holiday season! I'm not really into New Year's resolutions, I'm more into trying to live the next day better than the last. It's not always perfect, but I try not to stress since tomorrow is another day! Hopefully! :) However even though I just said that since it's the start of a new year we at My Creative Time are making some changes...and we hope you like them! Today we are adding a new segment called Cook-N-Craft, each month we will be a sharing a recipe with you. 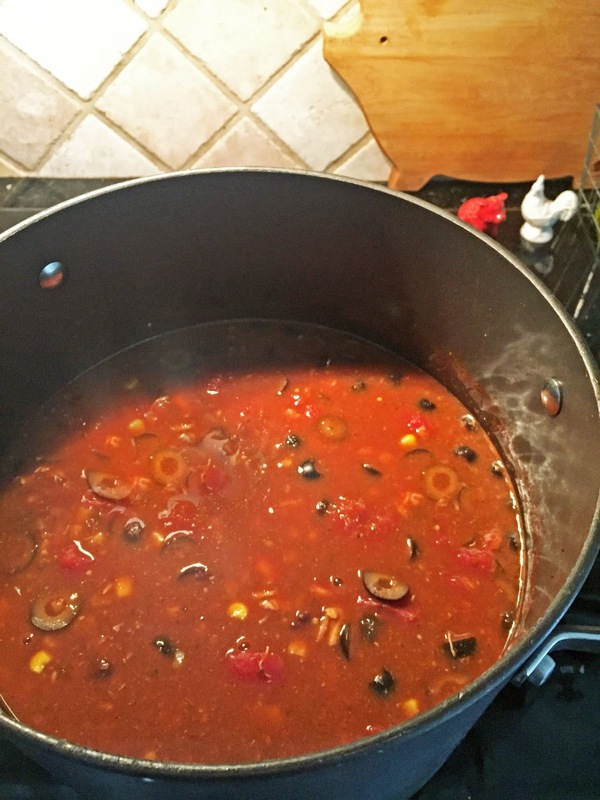 When I'm crafting all day (little secret...sometimes I make all my projects for the scheduled month in one day) I try to make something in the crock pot or takes time on the stove. When it's cold I usually make a soup. 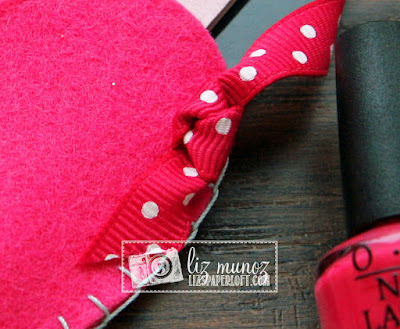 For today's project, I die cut two hearts with wool felt and stitched together with thick thread. 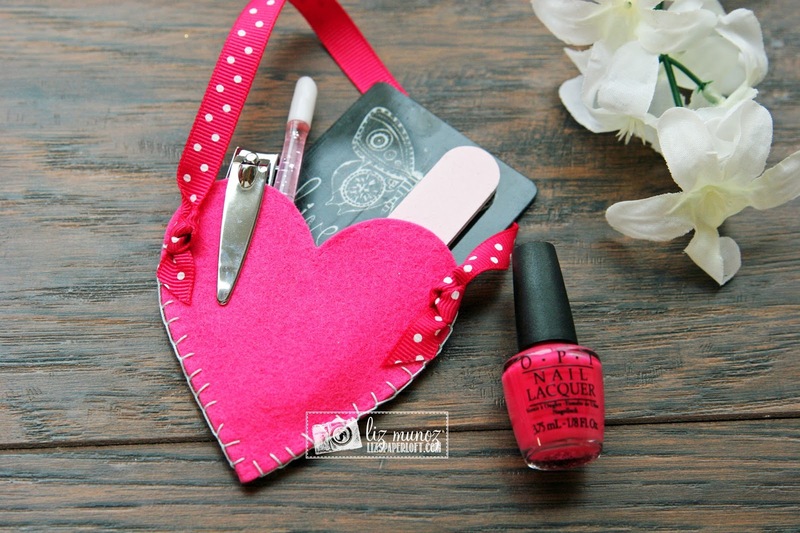 I added a few trinkets from the dollar store a gift card and a mini nail polish. When giving a gift card it really doesn't take long to add a few details to make it more personal. 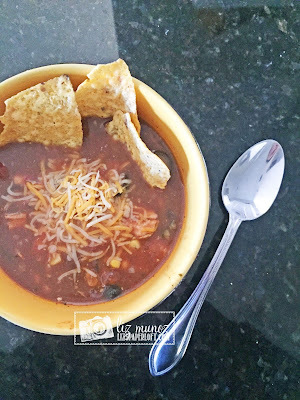 I did this soup on the stove, but you can easily do it in a crock pot. Cook chicken then chop or shred depending on preference. Once chicken is cooked add both seasoning packets. Next add remaining ingredients. Stir. Last add water, 1 cup at a time until you get the consistency desired. I tend to add more since the chips soak up the juice. Garnish with cheese, avocado, tortilla chips, and sour cream, or whatever you preferred. Happy New Year Miss Liz!! Loving your Heart Pocket idea is so adorable and what a cute way to present a gift and your heart pocket makes for a sweet keepsake too...fun idea for a purse...you know for a lip gloss or ????!! Your soup looks delish..perfect for my cold MI winters. (I eat soup all year just love it)...thanks for your awesome shares!! Wishing your a Happy, Healthy and Prosperous New Year!! Cute project and your soup look yummy!! Happy New Year! I love your little gift card holder, and your soup looks so yummy!!! Love your project and your yummy dinner looks awesome! Thanks for sharing the recipe too! Have to give it a try! What a darling holder, great idea and your soup looks so yummy. Thanks for sharing. Such a wonderful idea for a treat holder and gift! Your soup looks fabulous also. I will be making this soup!